IT'S MAY! 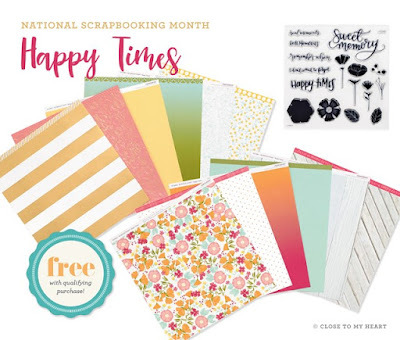 That means we've hit National Scrapbooking Month! woohooo! Close To My Heart has a fantastically pretty special this month. The Happy Times Paper Pack AND there's a coordingating stamp set! The stamp set is $17.95. You can't tell in the photo, but there are some great gold metallic accents in a couple sheets of the paper. 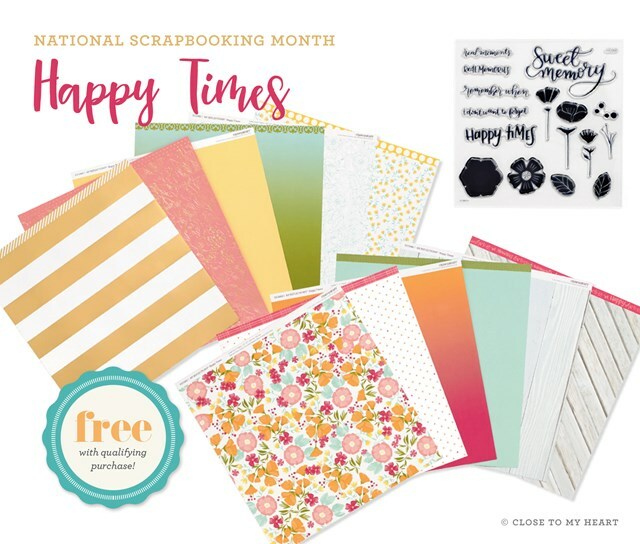 Stop back in this month as I share some photos of my artwork using this set! In the meantime- shop 24/7 on my website to get this great collection, or even earn the paper FREE.